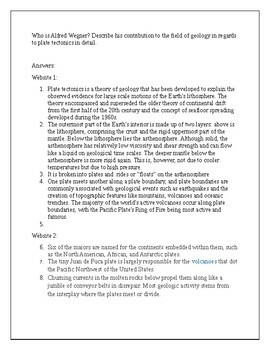 I created this webquest as an enrichment for my students to aid them in comprehending their notes and the work we are doing in class. It restates the ideas we have discussed in class as well as expanding on some of these concepts. I searched the websites and wrote the questions from each site myself, so I can attest to the answers being on that site. 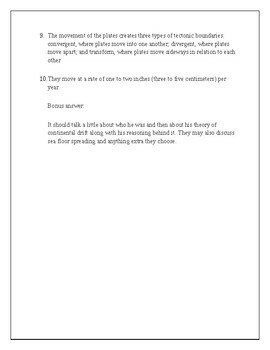 The answers on the key, however, are largely the result of me copying and pasting the answers (after all the answers should come from the website they are on). 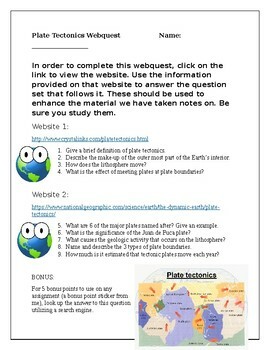 I used this with a 9-12 Environmental Science class. I teach all grades and ability levels in the same classroom. All of my items are able to be tweaked and adjusted to meet your needs so it is in word and editable. The graphics always seem to move so you may need to move them over a little bit.